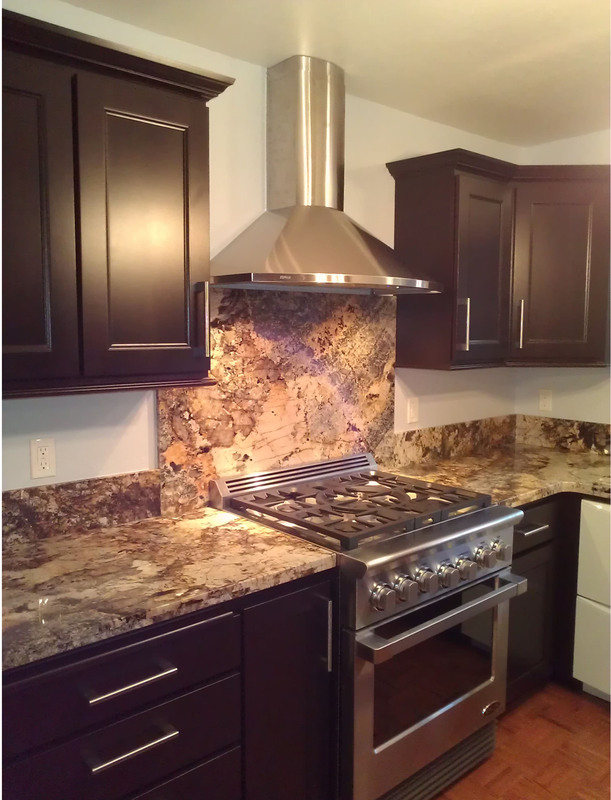 Dramatic kitchen remodel using beautiful granite throughout the countertops, backsplash and detail behind the stove. Simple cabinetry and hardware complete the modern kitchen. Cook’s Kitchen and Bath is a general contractor, specializing in residential remodeling focusing on exceptional customer service. Dawn faucets and accessories, China Shell trough sink, American Standard tub, Mountain plumbing accessories, Panasonic fan, Alpine window, Huntwood cabinetry and Emser tile.